There’s growing interest among corporations in procuring renewable energy and other advanced technologies to reduce their energy bills, ensure a reliable electricity supply and meet their sustainability targets. The problem is that many corporations don’t know how to go about doing it. So the global energy management firm Schneider Electric built a solution. Last week, Schneider Electric officially launched the New Energy Opportunities (NEO) Network to help corporate end users, solution providers, banks, law firms and other organizations get the resources they need to accelerate renewable energy investments. Typically, corporate energy managers gather intelligence on advanced energy solutions by fielding calls from vendors, taking cues from policymakers or simply searching the web, said John Hoekstra, director of sustainability and cleantech for Schneider Electric. It’s difficult enough to conduct research on U.S. and European energy markets, and often even more complex and time-consuming to research markets and build a network of solution providers in other parts of the world. “What we’ve done thorough NEO is cut down on their time and distilled that information in a consumable, transparent way so that companies can get smart about renewables and quickly move to executing and implementing," Hoekstra said. The NEO platform gives renewable energy stakeholders access to market briefs and case studies, it allows participants to connect through an online forum similar to LinkedIn, and it offers a virtual exchange where buyers can connect with a vetted group of solution providers. There are other resources available to help corporations accelerate the adoption of renewable energy, such as the Business Renewables Center and the Corporate Renewable Energy Buyers Principals. Both initiatives are linked to the Renewable Energy Buyers Alliance, which is supported by the Rocky Mountain Institute, the World Wildlife Fund, the World Resources Institute and BSR. What sets NEO apart is its international reach. NEO is offered through Schneider Electric’s energy and sustainability services business, an advisory arm of the energy management corporation with decades of experience helping companies, cities and other organizations procure and develop energy supplies. The business currently manages 40 gigawatts of electricity load on behalf of clients in more than 100 countries. NEO has been in development for several years and is growing to include data on roughly 50 markets; it will continue to be updated over time. NEO is available for an annual subscription fee that varies by category of user. Founding participants include the sports arena company AEG, pharmaceutical giant Allergan, fuel-cell business Bloom Energy, apparel company VF Corporation and the data services provider Equinix. 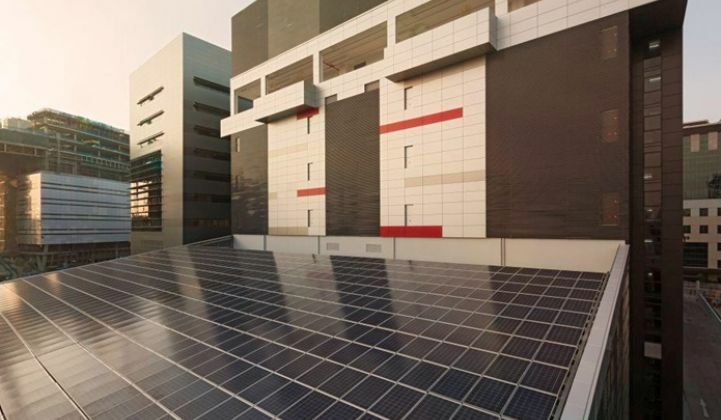 Equinix is one of 69 RE100 companies committed to going 100 percent renewable. These businesses are deploying a suite of clean energy solutions in order to meet their targets, including power-purchase agreements, direct ownership, renewable energy certificates and utility agreements. The option a company selects depends on their specific aims, location, risk tolerance and other factors. However, Hoekstra noted that on-site generation through a PPA or another financing vehicle is often the easiest way to enter the renewable energy market, which is true for most places around the world. 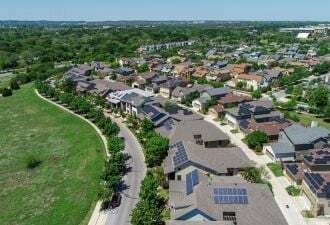 The projects are typically smaller, ranging from 500 kilowatts to 5 megawatts, which gives corporate buyers the ability to test how these structures work before making a larger commitment. Large-scale, off-site solutions, like virtual PPAs, are becoming more pervasive in the U.S., Mexico and the United Kingdom, and to some extent in China, said Hoekstra. But these types of deals are typically tougher to execute on, because they involve a much larger commitment in terms of financial value, the PPA has more conditions and terms, and the deal may become more complex if a utility or other third party is involved. In all cases, Hoekstra said that awareness remains one of the biggest barriers to renewable energy adoption among corporate buyers today. 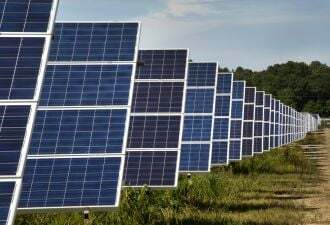 “Some folks are still caught in the mentality that green costs more, when in reality an investment in renewable energy can represent a significant financial benefit in many, many markets,” he said. According to Clean Edge's latest corporate clean energy procurement tracker, the average levelized costs for solar PPAs declined from 22 cents per kilowatt-hour in 2006 to less than 5 cents per kilowatt-hour in 2015, making them significantly more cost-competitive with fossil fuels. 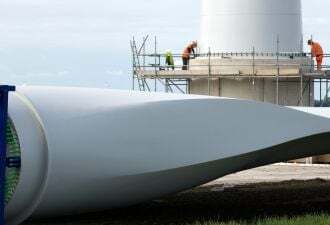 Meanwhile, wind power has seen its costs cut in half, from 5 cents per kilowatt-hour in 2006 to 2.3 cents per kilowatt-hour in 2014, with further declines reported in 2016.